Celebrity genealogy series. Scottish comedian and actor Billy Connolly travels to India in the footsteps of his army ancestors and makes an extraordinary discovery. 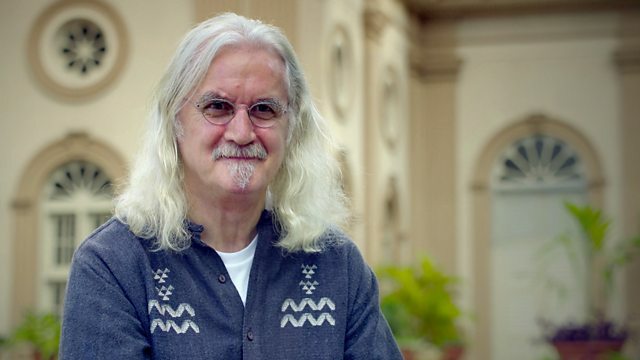 Scottish comedian and actor Billy Connolly has always considered himself Scottish through and through but as he travels to India in the footsteps of his army ancestors, he makes an extraordinary discovery. Not only was his great-great-great-grandfather present at a pivotal point in Indian history, through him Billy's connection to India runs deeper than he had ever imagined. Billy Connolly is Sue Lawley's castaway in this 2001 episode, available to download. Billy Connolly: "I'd like my children to know where I'm from"